The small Truckee Public Library building lacks new technology, reading rooms and meeting space for large numbers of students and adults. If you have noticed more and more loud private jets flying low over residential neighborhoods in Truckee and over trails and lakes in the Donner and Tahoe area, you are not alone. What you may not know is that your tax money helps to subsidize the growth of private luxury air traffic for an elite group, while other communities in scenic locations (East Hampton, NY; Santa Monica, CA) are taking strong measures to curb such flights and to limit plane noise. 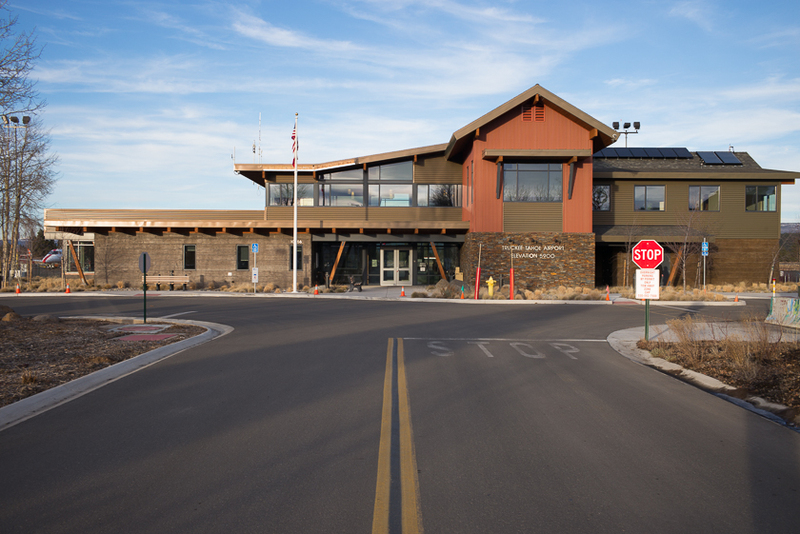 Modern and luxurious Truckee Airport terminal building constructed using a local taxpayers’ subsidy. The vast majority of local residents can’t afford to use it for travel. 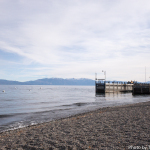 There is an easy solution for the Truckee Library dilemma (read: “Friends of the Truckee Library,” Give Back Tahoe, By Special to the Sun, Sierra Sun, August 26, 2015, p. 15) that is guaranteed to improve academic performance of area students, raise their test scores, lead to better paying jobs and improve regional economy in the future without costing local residents a dime in new taxes. All the Truckee Public Library officials, Friends of the Truckee Library and their supporters need to do is to ask the Truckee Tahoe Airport District Board of Directors for a multi-million dollar grant from property tax money (the Airport gets about $4.5 million each year from local taxpayers) already given to the Airport. Such petitioners can’t be refused, or at least I don’t think they can be. 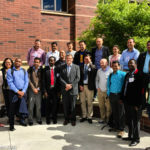 The grant could pay for constructing a new multi-media study and research building–a knowledge and learning center–that would be just as modern with technology, just as luxurious, and just as spacious as the very impressive new Truckee Airport terminal or the newly-proposed but not yet constructed hangar for large jets, for which cost estimates go up to $9 million. 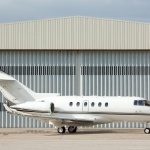 Even the least expensive jet hangar option has an estimated price tag of $3 million. Some Truckee Airport Board directors are also advocating for building even more jet hangars. If they tell you that this will not lead to more jet traffic and jet noise, be highly skeptical. In any case, wouldn’t it be better to invest the same $9 million of local taxpayers’ money in children’s education and their future than in subsidizing the pleasure and convenience of private jet flying for a few already very successful and wealthy people? Their mindless, eco-unfriendly travel habit to save themselves a few minutes of commute time (they could easily fly to the commercial airport in Reno and take a limo to their mountain top mansions) disturbs their neighbors and visitors to the area alike, diminishes quality of life especially on weekends and holidays, and lowers home values. 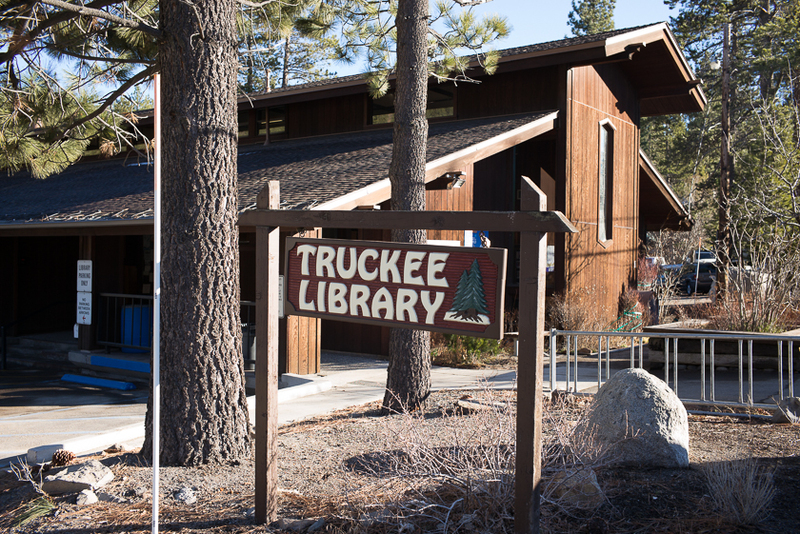 Friends of the Truckee Library make an excellent case for such a truly socially responsible and beneficial donation, although they may not be aware that the Truckee Airport can easily provide it from the money it receives from local taxpayers. “A needs assessment report commissioned by the Friends from Library Facilities Consultant Kathryn Page Associates in the fall of 2014 indicates that, in order to meet best practices standards, the Truckee Library should be around 18-20,000 square feet,” the Friends of the Truckee Library reported. “The current size? Barely 5,000 square feet.” The total project costs for a new library, excluding site acquisition, are $14.8 million. FRIENDS OF THE TRUCKEE LIBRARY: “In spite of all our efforts, population growth has overtaken the ability of our library to become the modern, technologically relevant Library Truckee deserves. We believe Truckee deserves a modern, new library that will reflect our values, provide a vital hub and community gathering space, offer the latest technology, inspire incubation of new ideas and where young children through senior citizens experience the joy of discovery.” Interested in helping with the campaign? Email LIFT at NewLibrary4Truckee@gmail.com or call Ruth Hall at 530.314.2583. What is even more important are educational benefits modern libraries can offer children. According to the American Association of School Librarians, “in an Iowa study, in all three grade levels surveyed, the students’ test scores tend to rise … incrementally as [library] staffing and library usage increased.” A Public Library opened after school hours and on weekends can increase these benefits. We are talking about successful careers and millions of dollars more in future earnings some of which could be spent here in Truckee. You don’t get that from building a public swimming pool, as desirable as it may be, for which the Truckee Airport allocated about $500,000 from your own taxes, so they can feel better about spending of possibly up to $9,000,000, also of your tax money, on private jet owners and passagers. It’s time to reverse these priorities. 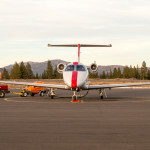 Even though most people here may not be aware of paying such a special tax, right now local residents give about $4.5 million annually from their property taxes to subsidize the Truckee Airport, which the vast majority of citizens can’t afford to use for their own private travel while noisy jet traffic and plane noise complaints are on the rise with no end in sight. Emergency flights, which deserve public support, represent a minimal number of operations. (See most recent Charts and Report.) In a transfer of wealth from the middle class to the very rich, local residents are subsidizing plane noise. Some of the wealthy fliers also pay property taxes (some don’t), but so do wealthy homeowners who do not disturb their neighbors and may contribute much more to the local economy if they spend more time in the area. According to the Truckee Airport official reports, operations in April 2015 were well over double that of 2014. Also according to Truckee Airport official reports, July 2015 plane noise complaints totaled 90 versus 63 in July 2014. In 2014, there were 22,764 take offs and landings at the Truckee Airport. Jets operations comprised 39% of overall plane noise complaints volume for 2014. 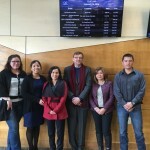 Recently, the Truckee Airport Board also approved a $15,000 grant to the Truckee Donner Chamber of Commerce (TDCC) for their own website and “a seat at the table.” If public money can go to to a business lobby, which should be supported by local businesses, for just showing up, it can certainly go a Public Library. (The Library recently received a gift of $500 from a program held at the Truckee Airport–TDCC got $15,000. If private jet owners can have a $9 million hangar constructed with the help of a subsidy, the Library clearly needs to think big.) 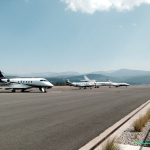 The Truckee Airport’s general manager Kevin Smith is the non-salaried TDCC board chairman–the fact which was properly disclosed at the board meeting during which the grant was approved. But as a big fan of free market and a refugee who fled from communism, I believe that, as a rule, business advocacy groups everywhere should set an example by not reaching for the public purse, and neither should the most privileged citizens and private businesses. When government bodies get to decide which businesses get public money and which don’t, you get a polluting steel mill complex next to a historic medieval town, such as Cracow (Krakow) in my country of birth, or more jet traffic and plane noise in a scenic mountain town like Truckee, CA. Cracow was almost choked by pollution and many of its residents became ill and died prematurely, and yet the industrial development was also about jobs, “workforce housing,” but above all recognition for those in power and their ideology. Giving proper recognition to the system for its alleged “generosity” was of ultimate importance to the communists. I remember being told in my youth that the state paid for my education. It was, if fact, paid for with the earnings of my parents’ work after the regime took a big cut for itself, including luxury homes and Soviet-made limousines for its elite. But I must say that even the communists would have spent whatever money was left, first on education or libraries (this benefitted their children), and on sports facilities and sports events second. Ironically, having a well-educated citizenry, combined with Western radio broadcasts such as the Voice of America and Radio Free Europe (free outside media) and strong religious faith, contributed to the downfall of communism. The workers of Nowa Huta (New Steel Mill) near Cracow were supposed to become the vanguard of support for the communist regime, but thanks to the Polish Catholic Church, Pope John Paul II, Ronald Reagan and others, Polish workers (Solidarnosc-Solidarity) turned out to be the regime’s fiercest enemies. The Truckee Airport is not really very forthcoming that the money they spent or are spending now is not their own but comes from taxpayers. They definitely, however, like to take credit for it without fully disclosing they are spending public money. Nor are they telling people that jet traffic and jet noise over Truckee are increasing and are projected to increase substantially unless they do something effective to curb it, as New Hampton, NY and Santa Monica, CA are doing. They don’t warn residents that more plane noise can lower home values or lower any rise in home values if they are rising in general. Transparency, education and free media can be dangerous, both for communism and for crony capitalism which distorts free markets. Perhaps it was a temporary lapse of judgement on the part of a business lobby to ask for public money, as was giving a donation based on jet fuel sales to a local environmental group run by an Airport Board Director, a Board Director advocating for a public money grant to a private cause with which he is associated, or some Board Directors allegedly bullying another Director who is an outspoken defender of Truckee residents’ interests. This happens even in a democracy. Truckee Airport Directors are elected (often unopposed) and there are at least two local newspapers, albeit heavily dependent on advertising from a limited number of local business and business groups. But what I would call state capitalism or crony capitalism still seems to be flourishing in some quarters in our local democracy. The Truckee Airport Board also approved earlier this year constructing a $3.5 office building on airport property to be rented primarily by Clear Capital, a local business. A local resident called it “corporate welfare.” That money could have been used for open space acquisitions, plane noise mitigation incentives, for a Public Library, or any other similar project benefiting the entire community. In ancient Rome, emperors and other rich Romans built public baths for the citizens using their own private money, which they often extorted from non-Romans and slaves. But guess what? 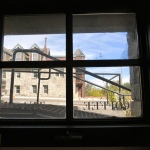 These baths served a multiple purpose as public baths, art galleries and public libraries, with reading rooms and meeting rooms for the citizenry. Constructing public buildings in the ancient world by rich citizens with their own money was all about buying recognition and silencing criticism, and so were some of the recent votes by the Truckee Airport Board about using taxpayers’ money–not the Airport’s money or private funds. Recognition and public adulation definitely have a moral value, otherwise there would be no Baths of Caracalla, Baths of Diocletian or Baths of Trajan built and opened to the public by these famous Roman emperors. Truckee Airport Directors seem to be eager for such recognition, which may be a good news for the Friends of the Truckee Library seeking public funding for a new library building. Everyone has the right to use their private money anyway they wish, but when it comes to spending public money, the standards are different. We no longer combine bathing and reading books in one area, in which case a Public Library should have been built first in Truckee, and a swimming pool should have been built or perhaps the old one renovated later if there is enough public and private money left. Truckee parents should have made this clear to local officials; they still can and should. However, we should be grateful to the Truckee Airport Board for establishing a clear precedent. Any local NGO with a great idea to benefit the entire community, rather than just the NGO itself, can go to them for public funds even if the idea has absolutely nothing to do with aviation or airport safety. Why not? After all, this money does not come from the Airport, its users, or the Airport Board of Directors; it comes from local property taxes paid by local citizens. Elected Truckee Airport Board Directors are merely public custodians of these public funds. According to the Airport’s lawyer, “as long as the [Airport] District gets something in return, recognition for example, it is within the legal requirements” to approve a grant for almost anything. At least, it’s a lesson for the Friends of the Truckee Library on how they should proceed. They should ask for several times more than the tax money used for the benefit of affluent private jet owners, businesses and business lobby groups. It’s easy to prove that money given to improve learning and education has tangible benefits in better test scores, college admittance and a much greater earning potential. Businesses, wealthy fliers and lobby groups are already successful enough and don’t need a public subsidy. A Truckee Airport drawing of a proposed “Combined Aviation Community Use” large jet hangar that could cost local taxpayers up to $9 million to construct under one of the options. Airport official claim that local NGOs may also be able to use the building from time to time, including holding banquets for up to 600 people or classes for children, but in 2012 a plane crashed into one of the existing hangars killing a pilot. Because of its location, altitude and weather, it is considered one of the most dangerous general aviation airports in the United States. There have been numerous crashes at and near the airport in recent years. Public money could be better spent on buying open space near the airport and protecting the community than on new jet hangars. 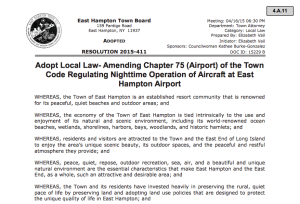 “This Town Board recognizes, the negative impact that this aircraft noise has made to the health and welfare of its citizenry, to wildlife and their habitat, as well as to the peace, quiet, and repose of the region,” a recently passed East Hampton municipal law stated. 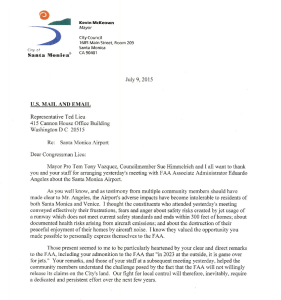 “’The constituents’ wrote Santa Monica, CA Mayor McKeown, ‘who attended yesterday’s meeting conveyed effectively their frustrations, fear and anger’ about the jet usage of the Santa Monica City Airport. 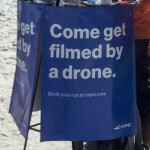 Truckee is nowhere near this point of awareness among most of its Town and Airport officials. Noise mitigation measures by the Airport have not slowed down the increase of jet traffic, noise and complaints from residents. All are increasing. Town of Truckee officials pay little attention to this problem. 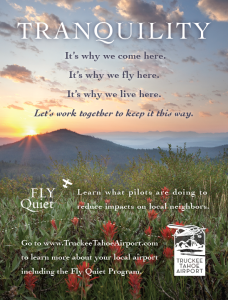 The response from the Truckee Airport officials was to create a Hallmark-like poster that essentially says nothing and will accomplish nothing. When posted on the official airport website, the image is so small that it is practically impossible to read. Overall plane traffic, jet traffic, jet noise and complaints from residents continue to grow.